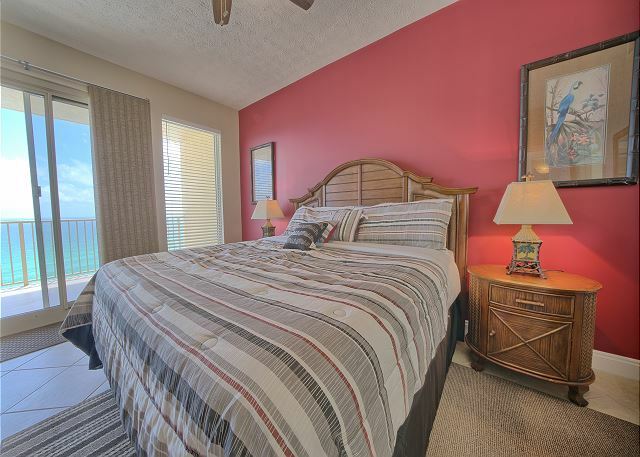 Our two bedroom accommodations include a master bedroom with a king bed, the guest bedroom has a queen bed, built in twin bunk beds and a sleeper sofa in the living area. 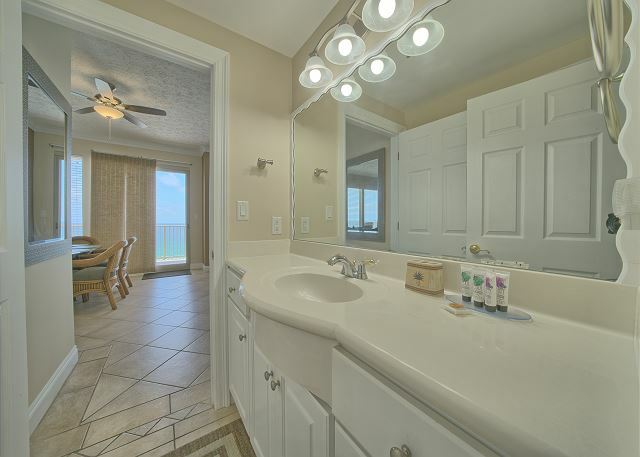 The master bedroom has a private bathroom with double vanity, tub and shower with glass enclosure and a walk in closet. 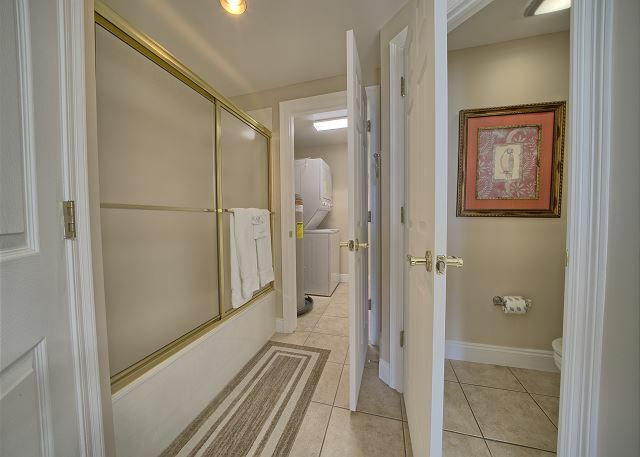 The full size guest bathroom also features a tub and shower with glass enclosure. Had good time after two days of rain. 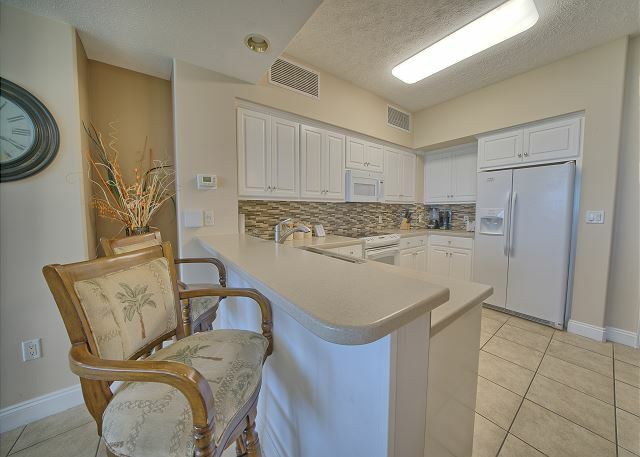 Great condo!!! 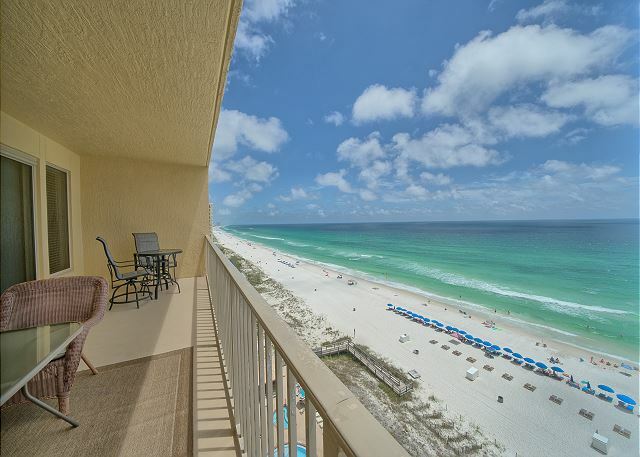 We have stayed at the Gulf Crest many times and have ALWAYS been treated with respect and care. The staff including maintenance personnel are the Type that any business should employ. I had a great stay in #1004,the room was clean, comfortable and nicely decorated.The only issue(which was no big one) was the water and ice dispenser didn't work on the refrigerator. All the staff were very nice and always had a smile on their faces. 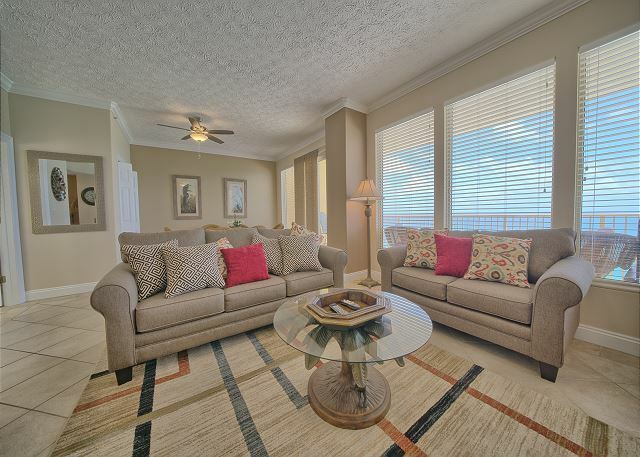 We had a wonderful stay at Gulf Crest condominiums. 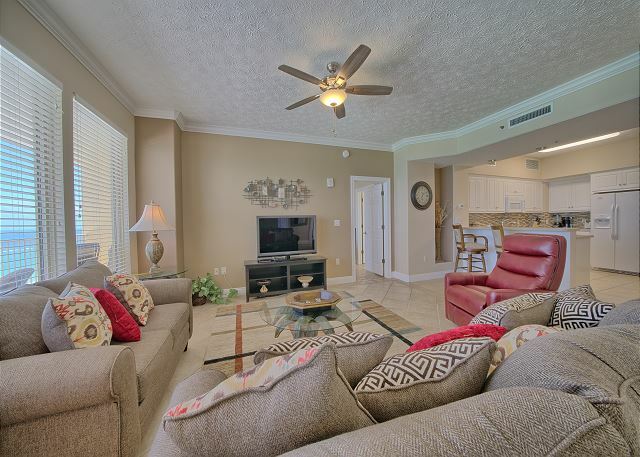 Our condo was clean and comfortable and the staff was very friendly. 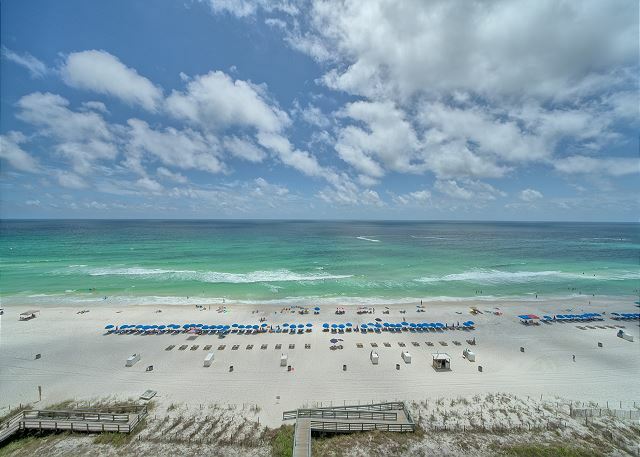 The view was simply beautiful with the clean beach and clear water. If you want a break from the gulf and sand (as if, right?!) there are two pools and hot tubs to be able to relax in with a nice grill area and yummy tiki bar that offer food and drinks. The location is great because it’s back off of the main strip and hubbub, but close enough of a walking distance to some great shops and restaurants. 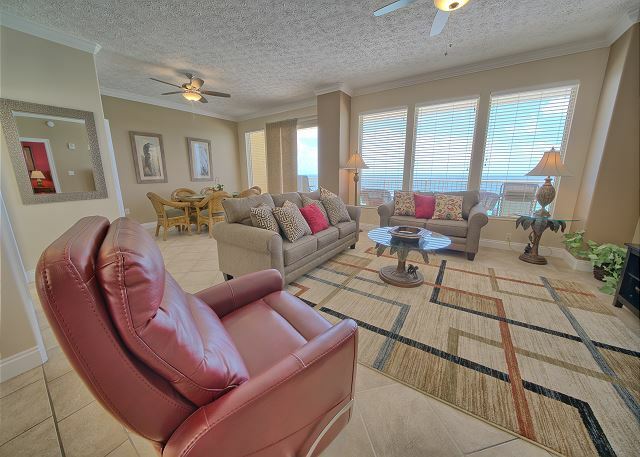 Gulf Crest offers a family friendly environment as well as a great get away destination for couples. We really enjoyed our vacation and are already planning to go back yearly. Gulf Crest is a great place to stay. This was our 7th year being snowbirds at Gulf Crest. The Management staff is excellent and any problems that did come up the staff is there to correct them as soon as possible. We had an awesome time!! The room was nice, clean, and in a great location. The grounds were nice and the pool area was always clean. We had another wonderful trip at Gulf Crest this year! We've been staying here for the last 7 years. The staff is always wonderful and the building and grounds are always kept up. The condo was clean and bed was very comfy! We will definitely be back next year! We had a great time at Gulf Crest. The ladies in the office were extremely nice. The room was clean. The pool and elevators were also clean. We had one issue with the shower door but maintenance was up to fix it within 30 minutes of me calling. Hope to stay here again soon. 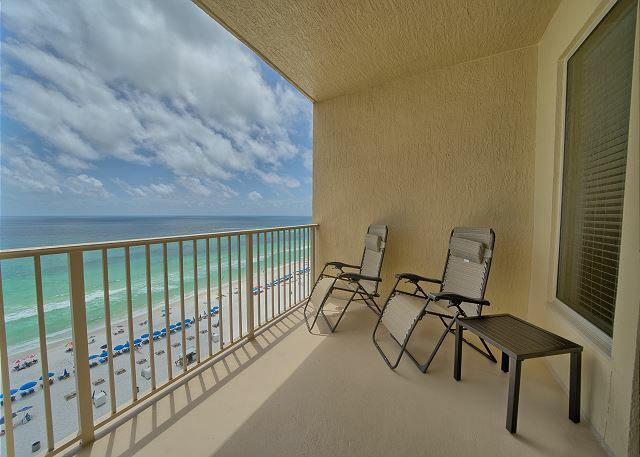 My family rented this condo during the 2016 Ironman Florida race (November, 2016). 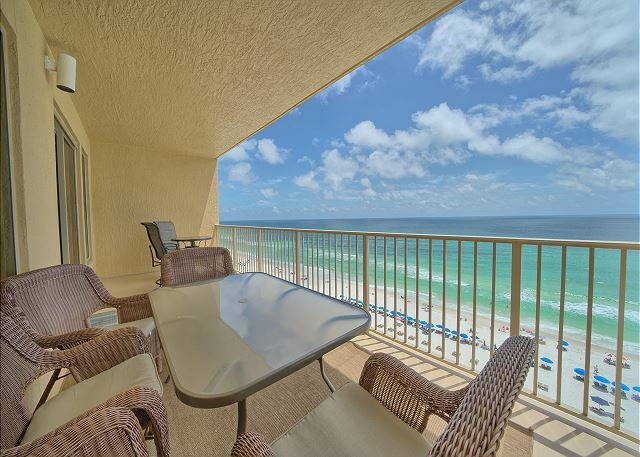 The condo is within walking distance of the Ironman village (about 3/4 mile) and the finish line. 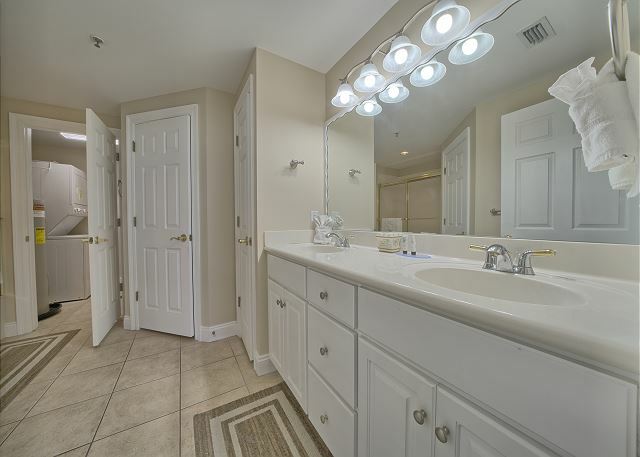 The condo was clean and the pictures/description from the website were accurate. The view from the balcony is amazing and we definitely took advantage of the pool and hot tub amenities on site. A few specific items to note about this unit: 1. The unit is located right by the elevators, 2. There is no key for entry - this unit has a keypad locking mechanism that took us a few tries to actually figure out how to lock the door when we were leaving, 3. You will need to bring your own coffee, coffee filters, laundry detergent, etc. Those appliances are provided, but you'll need to provide your own supplies to actually be able to use them. My overall rating would be great. The only complaint would be that the element in the dryer was out so it took hours to dry our clothes and the glass doors in the master bath kept coming off tract. Other than those two things was perfect! The weather was great and the stay was good as well. We have rented through VRBO several times and stayed with you all, this was the first time we rented through the office. The room was clean and spacious but lacked a lot of extras we were used to such as a blow dryer, plastic glasses for the beach, beach accessories etc. Trip was wonderful. Family enjoyed every moment. Only brief scare at check-in when lady stated an $800+ balance. We stated we booked with and It was corrected immediately. Room had few broken items, etc. closet door off rollers, knobs off drawers, and Cable had to be reset. We stepped out to eat and returned to all items fixed. Rooms were great and spacious. Love the view from balcony and up to date decor. Overall good place. Would def. stay again. We enjoyed our stay at Gulfcrest. The location is perfect. Very friendly staff. I plan on staying again soon. We enjoyed our stay in a nice, spacious 2-br apartment. It had everything we needed; plus the large balcony was very enjoyable. 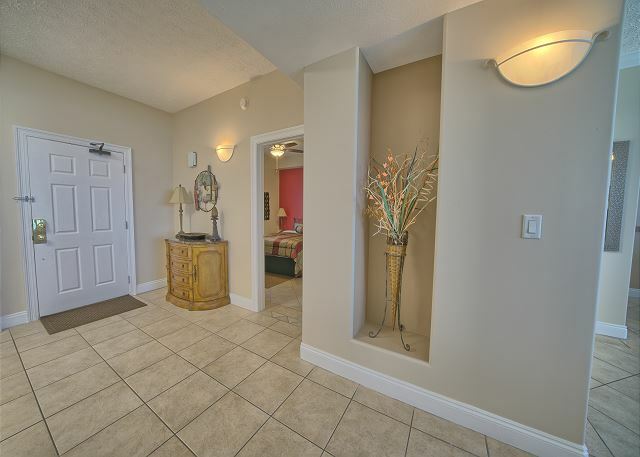 The condo staff was very pleasant, helpful, and efficient. We had only one small maintenance issue, and it was handled in very short time. We will not be returning, but only because they accept only very small dogs.